We all know how frustrating and painful it can be to brush and detangle massive knots that accumulate in your hair. 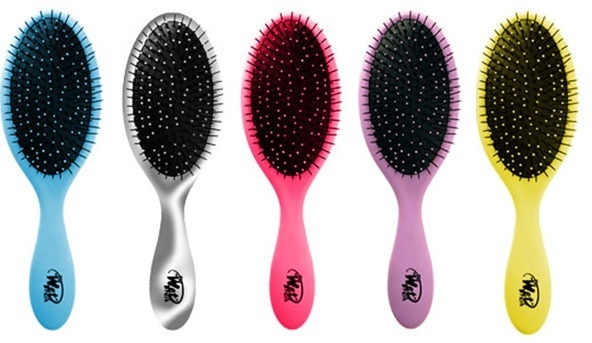 Whether you have short locks or long stubborn hair, The Wet Brush easily fights through even the thickest hair quickly and painlessly thanks to it’s revolutionary bristles. What makes this brush an outstanding competitor is its Intelliflex bristles. Intelliflex bristles are thin, strong and flexible making for a quick recovery that allows bristles to bounce back to their original form without pulling or breaking fragile hair. In addition, the circular bulbs at the end of each bristle massage the scalp and aid in an easy passage through the hair shaft, bouncing back to their original form after each use. Not to mention the endless array of color choices and patterns that this brush is available in, it appeals to anyone or any age eliminating tears and pain from an otherwise daunting experience. So, stop fearing what comes when you pick up your brush, and uncover those luscious locks hiding under those knots! © 2019 Alberto & Co. Website Design & Online Marketing by Insight Technologies.